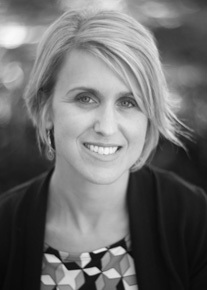 Michelle Moehler is a visual communication consultant, designer and educator in Cleveland, Ohio. Her expertise includes concept development and strategic implementation of brands and marketing campaigns; design and production for books, annual reports, magazines and educational publications; design for special events and environments; as well as typographic solutions for film and corporate video. Moehler spent fourteen years with the internationally-recognized design firm, Nesnadny + Schwartz. As a Senior Design Director at N+S, she designed award-winning publications for Progressive, Hearst Corporation, SMART Papers, Vassar College and the Cleveland Institute of Art, plus a number of non-profits including The George Gund Foundation, Cleveland Zoological Society, Cleveland Museum of Art, MOCA Cleveland, Rock and Roll Hall of Fame and Museum and the International Spy Museum. Since venturing out on her own in 2006, Moehler has continued to collaborate with Nesnadny + Schwartz, Walter Greene+Co, TELOS productions, Swagelok Company and Tucker Ellis LLP. In 1992, Moehler received a B.F.A. in graphic design from Kent State University, where she has also served as an adjunct professor in the Visual Communication Design department, having taught courses in typography, graphic design fundamentals and concept development.